O'Dea was born on January 20, 1918 in St. John's. He was educated at St. Bonaventure's College and attended several post-secondary institutions including Memorial University College, the University of Toronto, and Dalhousie University. In 1939, O'Dea won the Rhodes scholarship for Newfoundland but postponed his studies to serve in World War II. He joined the Royal Canadian Naval Volunteer Service and served as a torpedo officer in the North Atlantic, the Mediterranean, and the Norwegian sea. In 1945, on discharge, he started at Oxford and was admitted to the English Bar at the Inner Temple in 1948. He practiced law in England for a short time before returning to Newfoundland. In 1949, he passed the Newfoundland bar and became the Governor General's aide-de-camp. 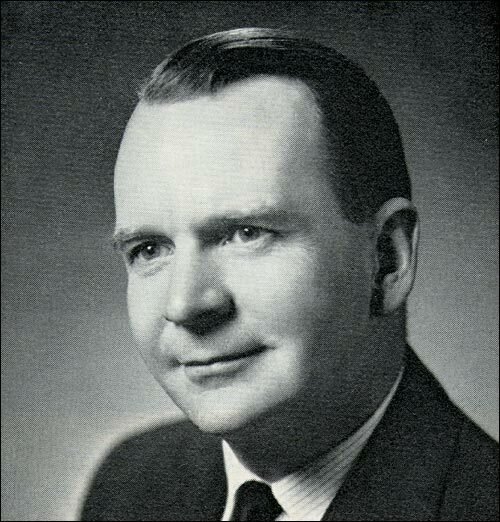 O'Dea, while working as a St. John's lawyer, was also aide-de-camp for Newfoundland's lieutenant governors from 1949 to 1961. He also served as Newfoundland's French consular agent, as a member of Memorial University's Board of Regents, and, in 1959, as president of the Canadian Bar Association's Newfoundland chapter. In 1963, he became lieutenant governor of Newfoundland. O'Dea's appointment was controversial. The dispute over his predecessor Campbell Macpherson's termination as lieutenant governor, and his own appointment, marked his term as much as anything. O'Dea remained in the position until 1969. O'Dea remained active in community life after his term ended. He was chair of the Royal Commission that investigated the Newfoundland Liquor Corporation's leasing practices in 1972. His business interests included membership on the boards of the Newfoundland Brewery, Browning Harvey, Newfoundland Telephone, and NewTel Enterprises. He also collected sixteenth to eighteenth-century cartography and has written several articles on the subject. O'Dea died in St. John's on December 12, 2004.